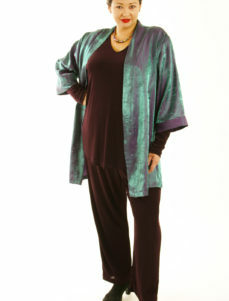 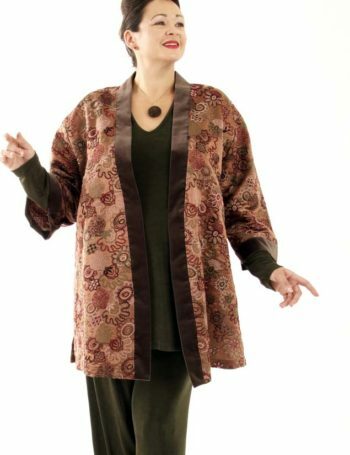 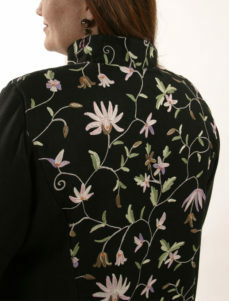 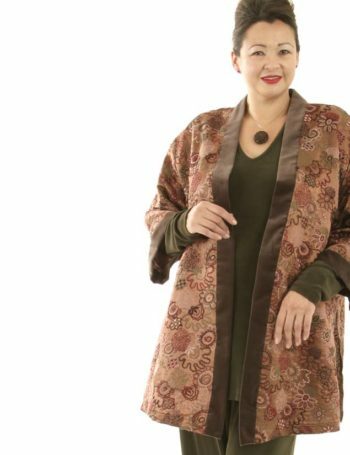 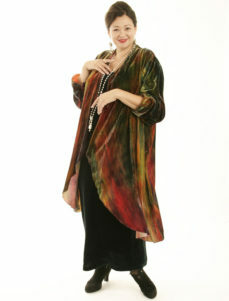 Plus Size Designer Kimono Jacket Embroidered Silk Italian Caramel, Taupe: Lustrous mushroom silk charmeuse meets rich browns and naturals, intriguing, contemporary, embroidered floral. 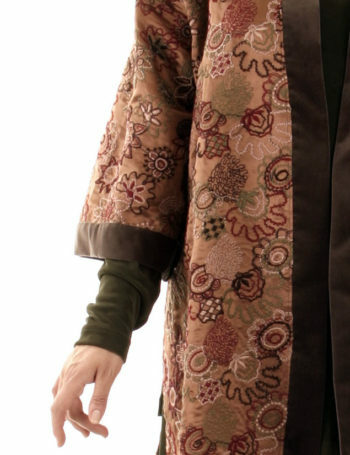 This richly-detailed silk was the prize discovery of a recent fabric foray. 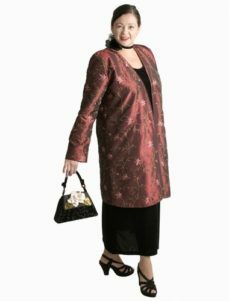 It’s Italian, so it’s going to be subtle and amazing. 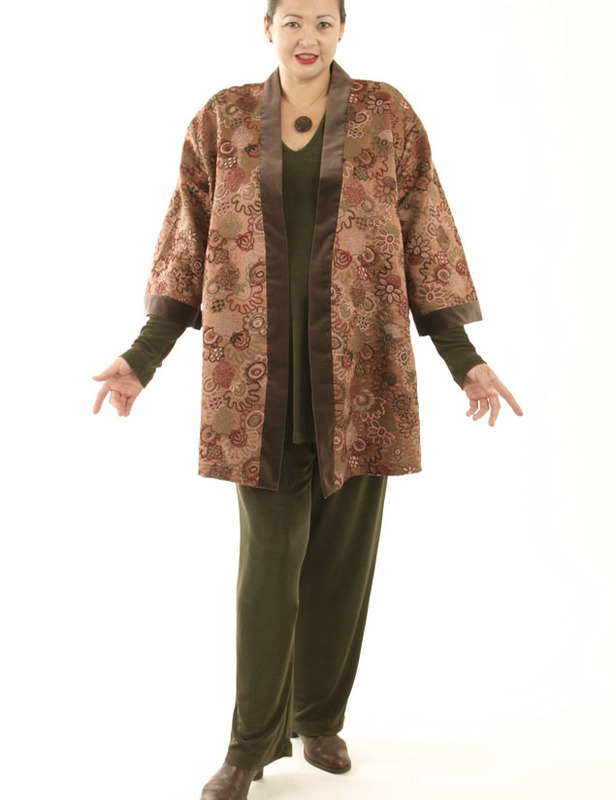 Banded with taupe/brown cotton velveteen, lightweight and great traveller. 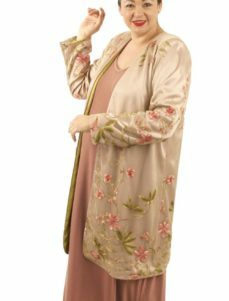 Be the first to review “Plus Size Designer Kimono Jacket Embroidered Silk Italian Caramel Taupe” Click here to cancel reply.